The Fin Fun Mermaid Tail Monofin is the most comfortable, safe, and realistic mermaid monofin in the world. You will experience a new level of mermaid power as you glide through the water with the best mermaid monofin available! 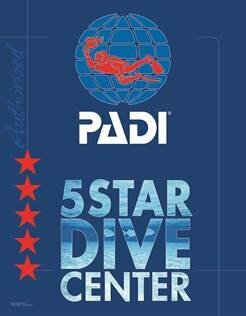 With their patented design and dive-grade neoprene cover, there is no other monofin like it. It fits so naturally you can hardly see your feet and ankles inside, which helps you look like a REAL mermaid! Although the monofin fits comfortably and securely, you can also remove it quickly and easily with a light tug and a kick. Fin Fun mermaid tails are custom printed 3D designs, made from breathable, 4-way stretch swimsuit fabric that allows air and water to pass right through. 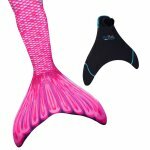 Some people worry about the tail trapping air and making the legs float up--this is not possible in our mermaid tails due to open ends and breathable fabric. Safety is the first priority of Fin Fun! They’ve designed our monofin with the highest level of safety features, setting it apart from other monofins that force you to “strap” your feet and/or ankles into the monofin. This monofin is designed to stay securely on your feet, though it can be quickly removed in or out of the water. Crafted from dive-grade neoprene that houses a highly advanced polypropylene insert, this monofin is the perfect combination of strength and rigidity while being extremely light and flexible. This gives the monofin and mermaid tail its incredibly realistic shape and mesmerizing motion for an unforgettable swim worthy of your wildest dreams! Plus, its neoprene sleeve accommodates feet of virtually any size for a comfortable swimming experience. Say goodbye to bulky, painful, or unsafe straps! A mermaid tail gets the kids off the couch and outside to play. No batteries or electricity needed! A toy that encourages imaginary play and exercise is a no-brainer for parents these days. 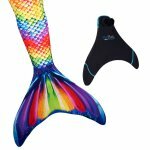 Wearing a mermaid tail allows swimmers to express their individuality in a unique way that often gets positive feedback from others. Mermaids attract excitement wherever they go! Mermaiding expands upon swimming skills (like the “dolphin kick”) and encourages users to live an active lifestyle. The Fin Fun “unboxing” experience is truly exceptional. We believe that everyone deserves to dream and we try to make your experience a “dream come true” from the moment you receive your package. Reinforced Tip Technology : New patented technology adds armor to your mermaid tail tips. Swimmable Tails Include 60-Day Tail Tip Warranty! Lightweight Comfort : Adapts and flexes to your body shape. Open bottom ensures air isn’t trapped inside. Easy-Care Fabric : Premium swimsuit material is fade-resistant, machine washable, and line dries quickly.